The Four Chimneys Inn has an intimate, yet grand feel that is reminiscent of the graceful summer homes of days gone by. 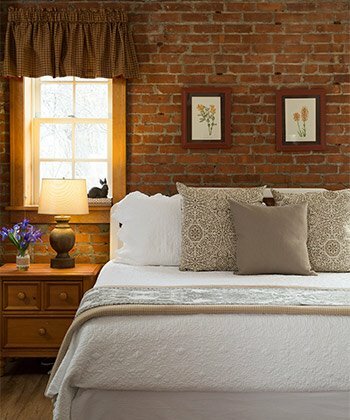 Our Vermont B&B has eleven beautifully and uniquely appointed guest rooms. Each maintains its old world grandeur while offering all of the amenities of modern day life. Unpack your bags and take in the local culture. Explore our packages for romantic getaways in New England that will make your trip full of lasting memories. 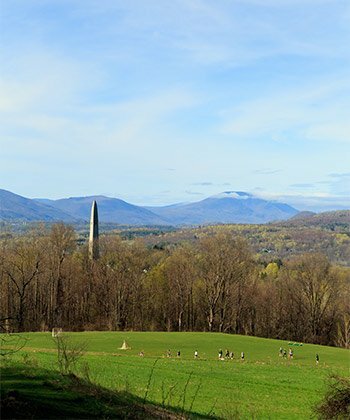 Take a day trip and visit covered bridges and revolutionary war history. Of course, you can also just stay put and curl up with a book by our fireplace. Unwind with a cool martini or hot toddy in our quiet, cozy, cocktail lounge (open only to inn guests). Or, play a game of bocce on our expansive lawns.